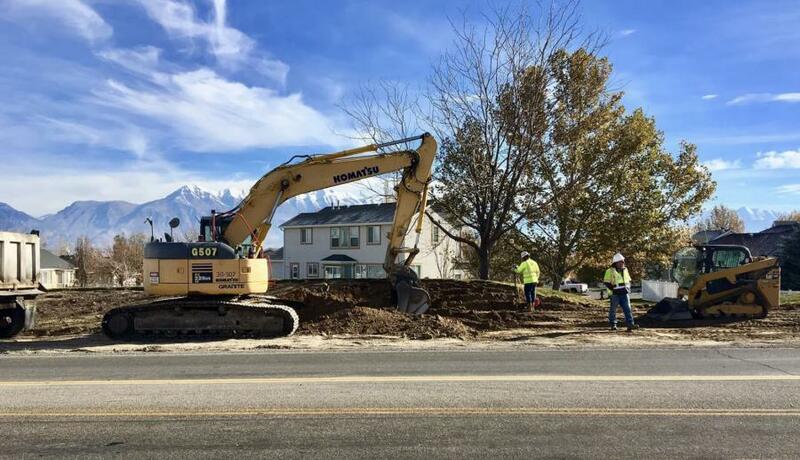 Utah Department of Transportation is heading a project to widen the roadway, reduce congestion and improve driving conditions on busy Redwood Road (SR-68) south of Pioneer Crossing in Saratoga Springs, Utah. Improvements also will be made at Pony Express Parkway and Grandview Boulevard intersections. Revenue for the project, known as Redwood Road Improved, is provided primarily through federal funds. Construction on the two-phased project is expected to wrap up in late 2018. The cost of construction is $6.8 million. The second phase of the project is scheduled for 2018. The cost of construction for the second phase has not been set, however, the funding total for the two-phased project is estimated at $19.9 million, which is equal to the project value. Improvements slated for 2018 under phase 2 include the east-west continuous-flow intersection at Pioneer Crossing; road widening from three to five lanes on Redwood Road from Lake View Terrace Road to Village Parkway; the new traffic signals at Ring Road and Stillwater Drive; a new pedestrian trail on Redwood Road from Pioneer Crossing to 400 South; the new bike signal at Pony Express Parkway; and an extension of bike lanes on Redwood Road from Lake View Terrace Road to Village Parkway. UDOT is project manager of Redwood Road Improved and prior to construction, managed the design phase of the project. Redwood Road Improved is running on schedule and at budget. 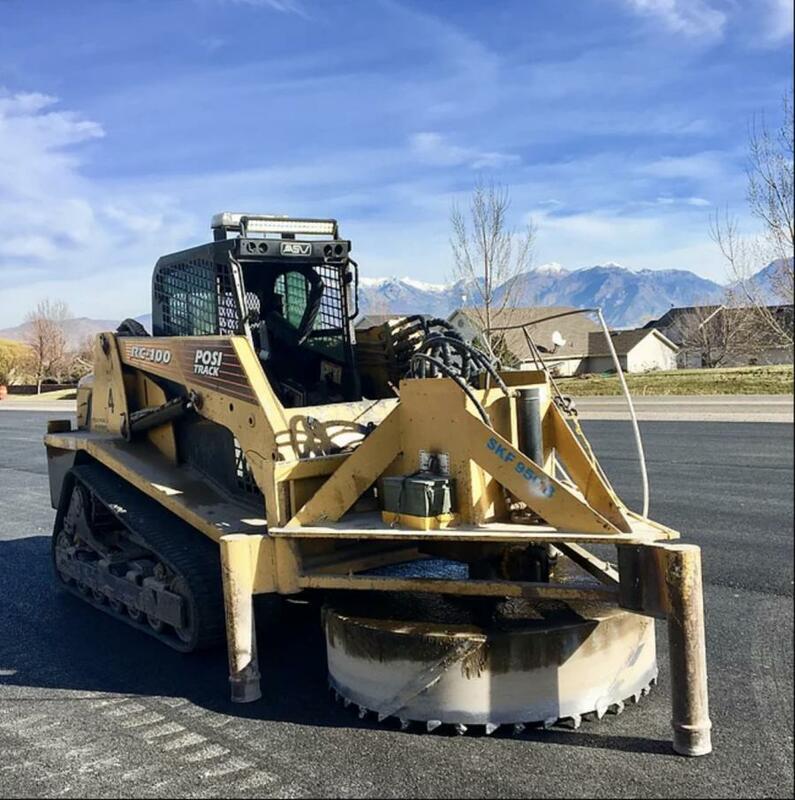 But getting the project rolling was not easy for the Utah Department of Transportation. Obtaining right-of-way for road widening was a difficult process, as it required removal of some residential landscaping. UDOT officials made sure restoration work complied with homeowners' association rules, approvals and timelines. That made development of construction schedules more difficult. Also, addressing green space and landscaping along the corridor has been a key concern for the city and required extensive coordination. Redwood Road is the main north-south corridor south of Pioneer Crossing and is in a busy part of Saratoga Springs. It will be widened from three to five lanes to reduce congestion and extend the life of the roadway. Along with widening the road, crews will add traffic signals at the intersections to improve access to Redwood Road. Crews also will construct a new east-west continuous flow intersection at Pioneer Crossing. A continuous flow intersection, also known as a displaced left turn, is an at-grade intersection that allows opposing left-hand turns and through traffic to occur at the same time with one signal. Left-hand turns are made possible by moving the left-turn lanes to the far-left side of the roadway beyond opposing traffic. Workers will resurface Redwood Road from 400 South to mile post 17, about 7 mi. south of the Saratoga Springs city limits, and install new traffic signals at Ring Road and Stillwater Drive. Pedestrians and bicyclists will see improved trail connections, designated bike lanes on Redwood Road and a bike-specific signal at Pony Express Parkway. Granite Construction Co. was awarded the job in June of this year following a bid process and began construction on July 17. Granite is one of the nation's largest infrastructure contractors and construction materials producers, specializing in complex infrastructure projects, including transportation, industrial and federal contracting. During the remainder of 2017, Granite Construction and its subcontractors will widen Redwood Road from three to five lanes from 400 South to Lake View Terrace Road, construct dual left-turn lanes at Grandview Boulevard., surface the roadway from Village Parkway South for about 10 mi., and extend bike lanes on Redwood Road from 400 South to Lake View Terrace Road. 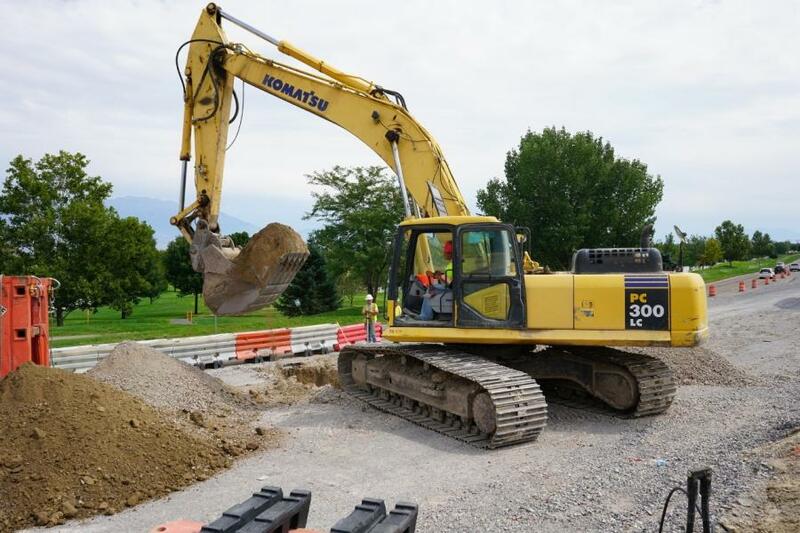 Major subcontractors on the job include SCI (Sorensen Companies Inc.) of Syracuse, Utah; MC Contractors of Kamas, Utah; Romero Construction Inc. of Willard, Utah and IMS Masonry of Lindon, Utah. Between six and 14 workers are on the job daily. Major construction has been focused on Grandview Boulevard, Lake View Terrace Road and Village Parkway South. At Grandview Boulevard and Lake View Terrace Road, traffic has been shifted to the middle lanes while crews reconstruct the outer lanes and install curb and gutter. Steel plates have been placed over the utility manholes to allow the concrete collars time to cure. Sidewalks have been removed on Grandview Boulevard from Lake View Terrace Road to Redwood Road. Sidewalks will be reconstructed along with the remainder of the roadway. In mid-September, crews began micro-surfacing of a 10-mi. stretch of Village Parkway South. Micro-surfacing adds a thin protective layer to the newly paved road. It extends the life of the roadway and provides a smooth driving surface. During the paving operations, motorists can expect uneven lanes, reduced speed limits, one-way flagging, traffic stops and delays in the Village Parkway South area. Other jobs that began in mid-September include shoulder grading adjacent to the paved roadway; pavement marking and striping; asphalt removal and paving south of Harbor Parkway; asphalt paving on widened shoulders and drainage work. Construction crews are on the job from 7 a.m. to 7 p.m. Monday through Saturday. The night schedule is from 6 p.m. Sunday through Friday and Saturdays as needed. 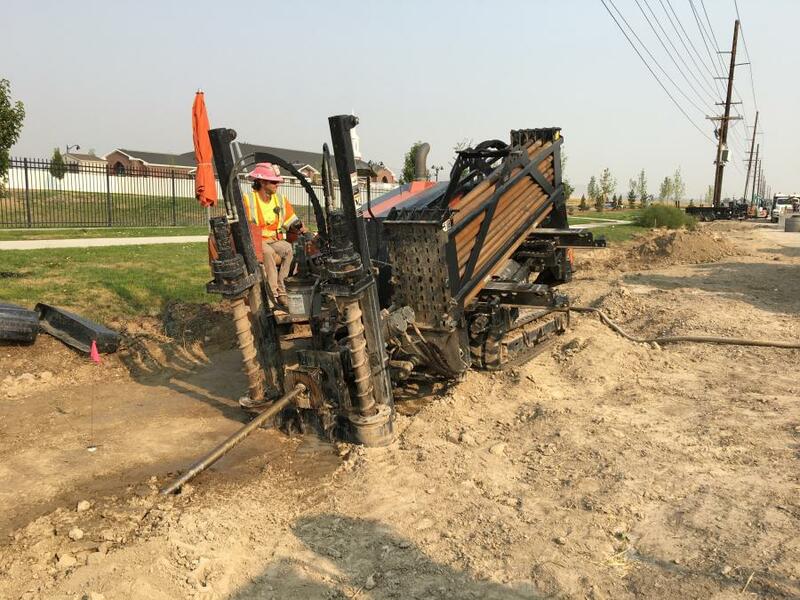 Heavy equipment on site at the Redwood Road Improved project includes track hoes, road grading machines, boring machines, loaders, pickup trucks, side dump trucks, semi-end dump trucks and soil compactors. A side dump truck consists of a three-axle tractor pulling a two-axle semi-trailer. It has hydraulic rams which tilt the dump body onto its side, spilling the material to either the left or right side of the trailer. A semi-end dump is a tractor-trailer combination wherein the trailer itself contains the hydraulic hoist. In the United States a typical semi-end dump has a three-axle tractor pulling a two-axle trailer with dual tires. Use of asphalt will be considerable over the course of the project. The contractor expects to lay about 26,000 tons of asphalt. Soil did not have to be brought in or removed for the project. Although most work will be performed during the day, residents and businesses can expect occasional nighttime work throughout the project. Construction could cause some travel delays and changing traffic patterns, reduced speeds and lane closures during off-peak hours. UDOT expects to have all travel lanes open during the morning and evening commutes to minimize delays during construction. As the project continues, motorists can expect noise, dust, vibration, one-way flagging, uneven lanes, steel plates on the roadway, traffic delays, lane shifts, reduced speed limits and trucks entering and exiting the work zones.